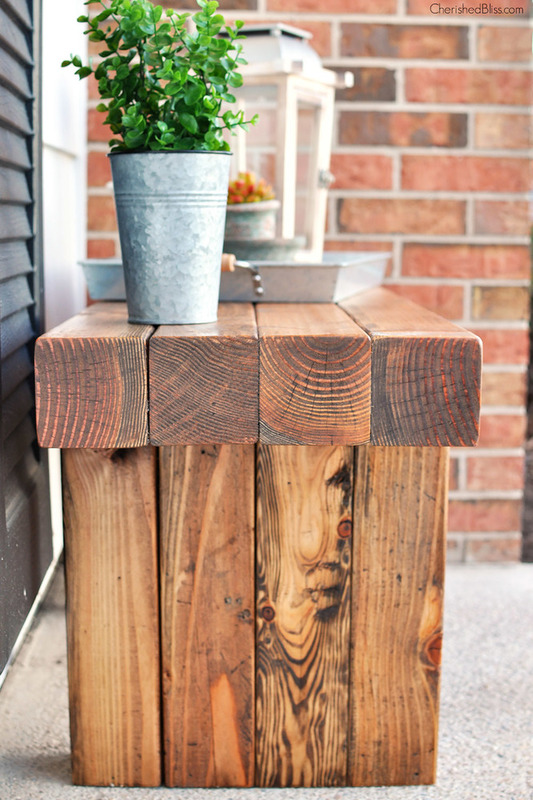 No yard is complete without this easy to build, rustic bench. 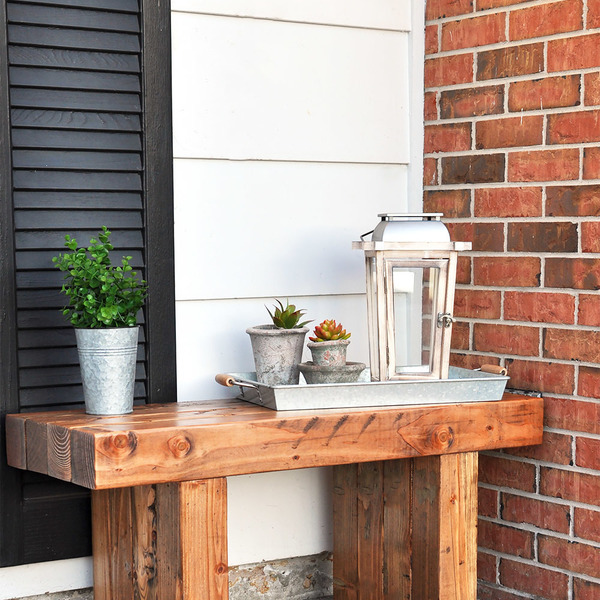 Step-by-step, Cherished Bliss shows you how simple it is to create this beautiful accent piece. 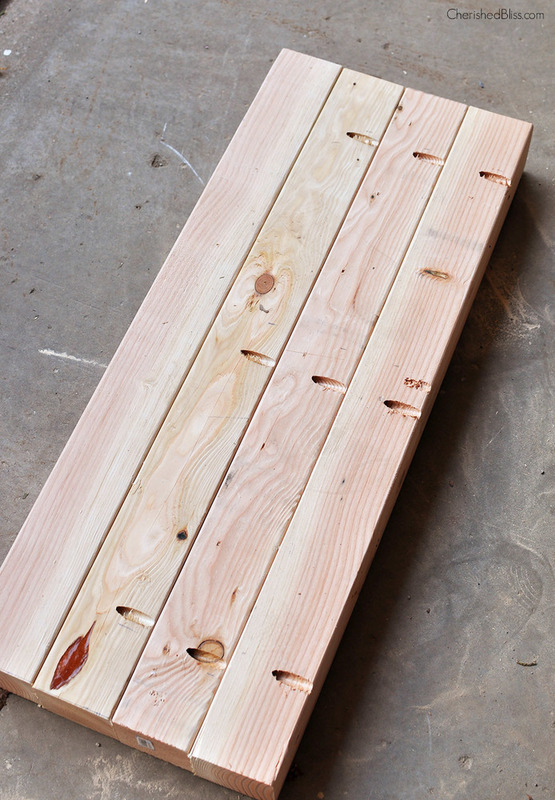 8 - 4X4 @ 36"
4 - 4X4 @ 14 1/2"
On all 8 of your 4x4’s @ 14 1/2” make two pocket holes at the top with your Kreg Jig HD. 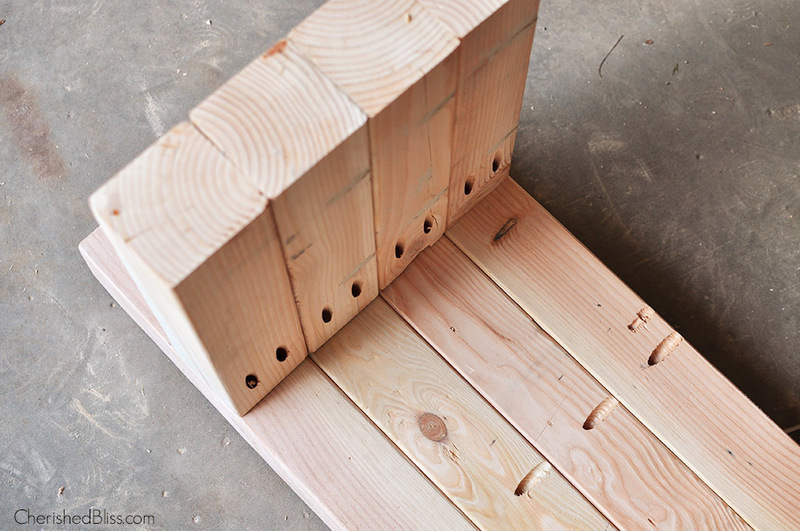 Then, with 6 of the 4x4’s, make 3 pocket holes spaced evenly along the horizontal sides. 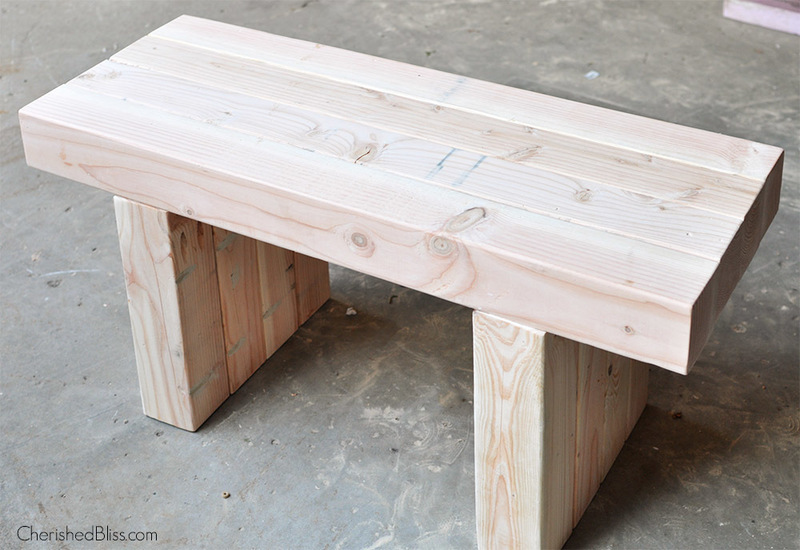 Join (4) 4x4’s to make one leg with 2 1/2” Kreg Jig HD screws and exterior wood glue. Repeat for second leg. 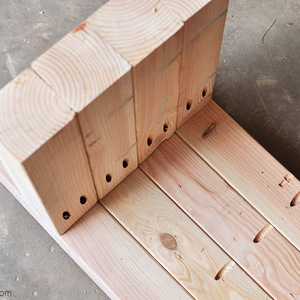 On 3 of your 4x4’s @ 36” Make 3 pocket holes along the horizontal edge spaced evenly. 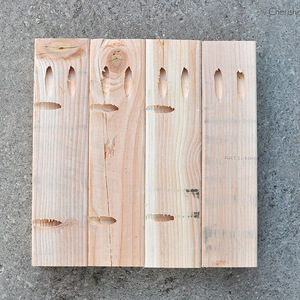 Join all 4 pieces together with pocket hole screws and exterior wood glue. Measure in 6” from the edge and line up your legs. Attach to the bottom side of your bench top using pocket hole screws and exterior wood glue. 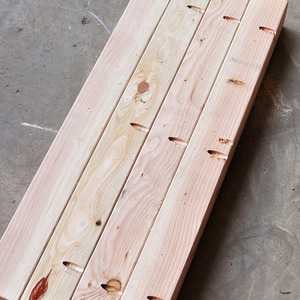 Fill all pocket holes with either wood plugs or wood filler (let dry) and sand entire bench working your way up to 220 grit sandpaper. Round the edges on your final sanding if desired to avoid sharp edges. 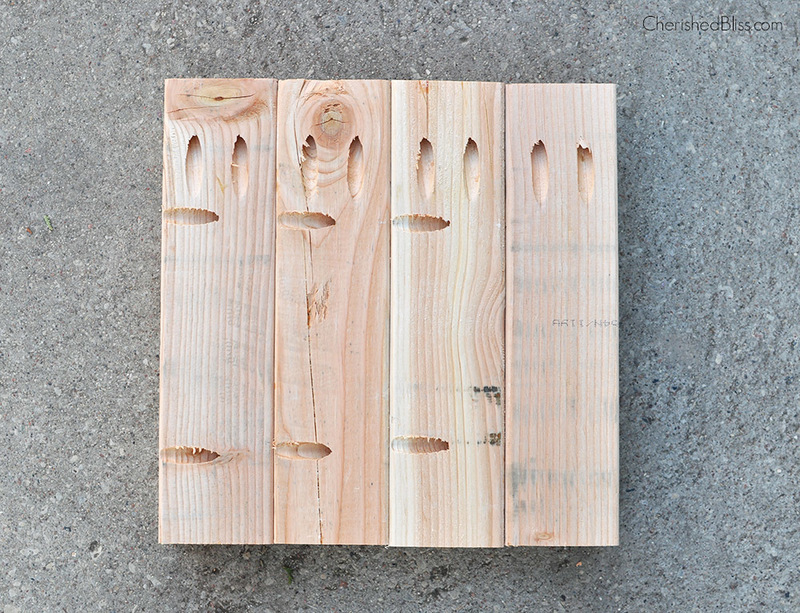 Apply stain and exterior sealant according to manufacturer’s instructions. Quantities of 4x4 are reversed. 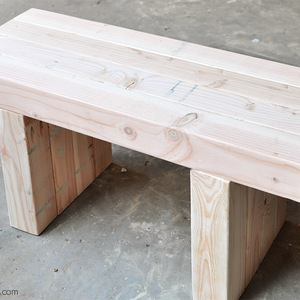 Should be 8 @ 14-1/2", 4 @ 36"
I love this bench, I'm making one this weekend. Thanks for sharing! 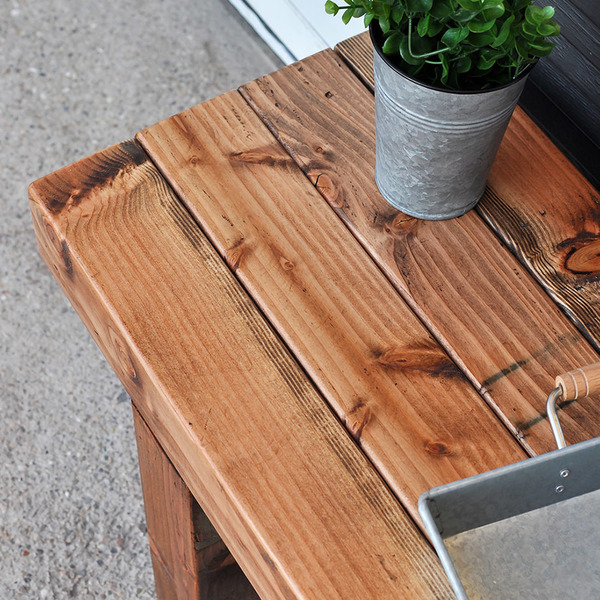 I like the simplicity and beauty of this bench. 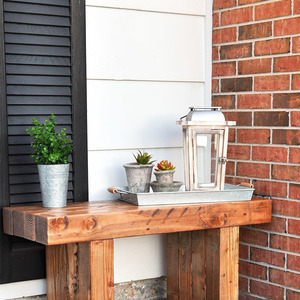 Very versatile piece that can be used as a bench, table, or prop to display outdoor decorations. 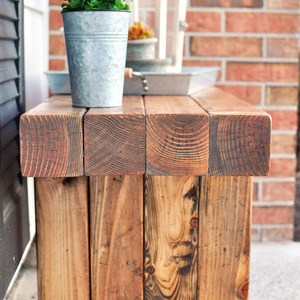 I plan to make this bench for my front patio area this spring. I have a Kreg R3 jig. Can you tell me what the setting should be for the 4x4s? Both the stop collar and jig slides. Sorry to ask questions but this will be my first time using a pocket jig.